Home › ModernTribe's Blog: Modern Jewish Life & Style › Mazel Tov to Hebrew National! Mazel Tov to Hebrew National! 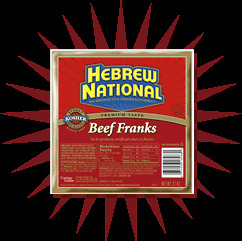 Hebrew National hotdogs were always are faves, but now it's official - the kosher beef franks have been judged top dog by Consumer Reports magazine. Seems like answering to a higher authority has its perks!